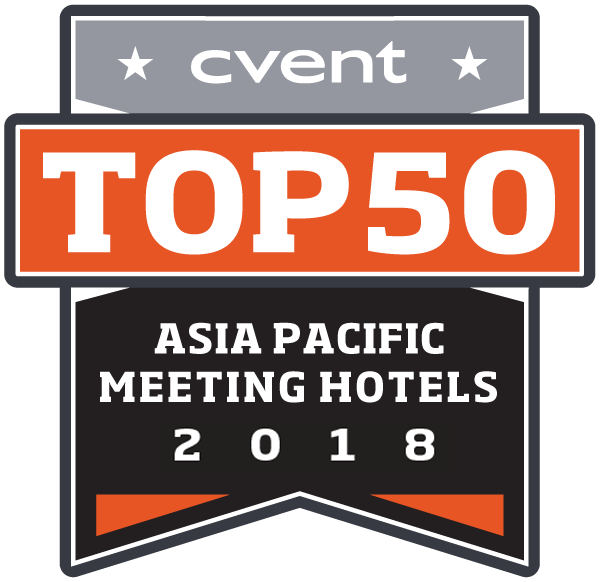 An integrated resort featuring a 1,300,000-square-foot (120,000 m2) convention-exhibition centre, the 800,000-square-foot (74,000 m2) The Shoppes at Marina Bay Sands mall, a museum, two large theatres, seven "celebrity chef" restaurants, two floating Crystal Pavilions, an ice skating rink, and the world's largest atrium casino with 500 tables and 1,600 slot machines. With a history dating back to its inception in 1887, the National Museum of Singapore is the nation’s oldest museum with a progressive mind. It is custodian of the 11 National Treasures, and its Singapore History and Living Galleries adopt cutting-edge and multi-perspective ways of presenting history and culture to redefine conventional museum experience. 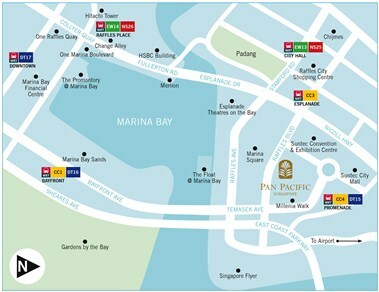 Esplanade - Theatres on the Bay sits on prime waterfront land by Marina Bay, and offers a complete lifestyle experience - dining, shopping, and the performing arts. Since the 1800s, the original Esplanade Park on Connaught Drive has been synonymous with leisure and recreational activities, and today, it still evokes feelings of nostalgia and romance. Esplanade houses world-class performing spaces, supported by a comprehensive range of professional support facilities and services. This makes Esplanade the perfect choice for large and small-scale works in the performing arts and ideal venue for functions. 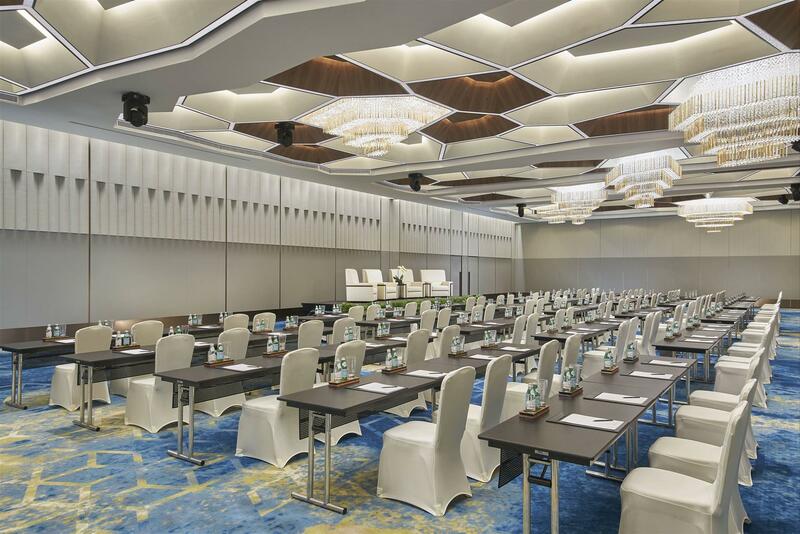 With range of spaces, capable of handling events for 10 to 2,000 people, Esplanade meets every need, whether it is an arts performance or a high-powered executive meeting. At a height of 165m, Singapore Flyer is the world’s largest Giant Observation Wheel and is set to be one of Asia’s biggest tourist attractions. Featuring fixed capsules the size of a bus, the spectacular monument is capable of holding up to 784 passengers. Each capsule has a 28 person capacity and each revolution takes approximately 30 minutes. 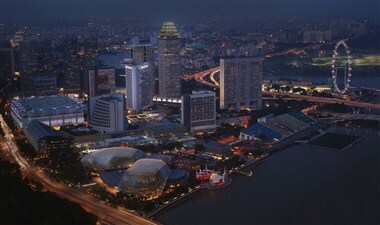 Singapore Flyer was conceived and designed by Dr. Kisho Kurokawa and DP Architects, Singapore. It held its groundbreaking ceremony in September 2005 and was launched in 2008. It promises more than just a view, but a panorama that captures Marina Bay’s skyline with a glimpse of neighbouring Malaysia and Indonesia. 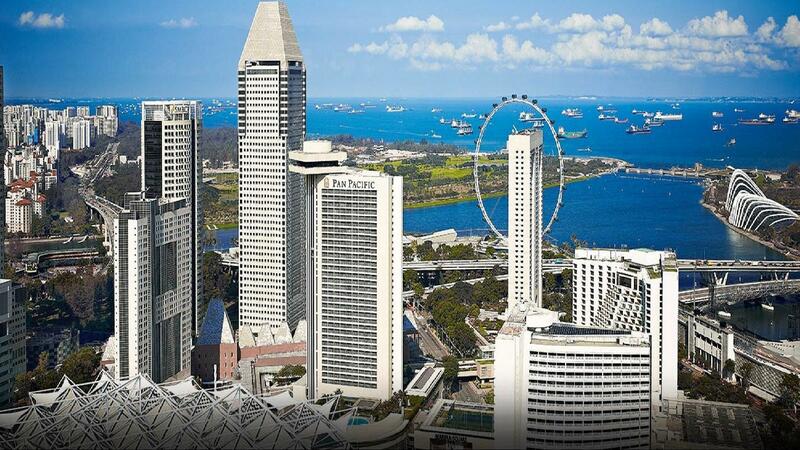 Located in the heart of Marina Bay, a stay at Pan Pacific Singapore is your assurance of exceptional service and five-star luxury accommodation. 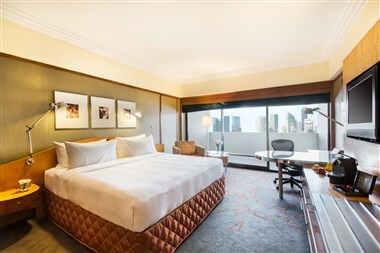 Only a 20-minute drive from Changi Airport, the hotel is connected via sky-bridge to three major shopping malls, Suntec Singapore Convention & Exhibition, and within walking distance of both City Hall and Promenade MRT stations. 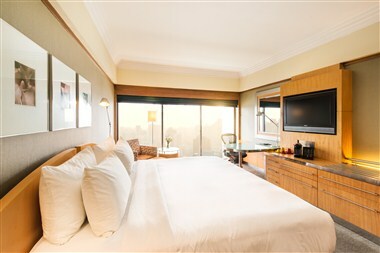 Indulge in a perfect blend of comfort and elegance in our 790 contemporary rooms and suites, backed by the state-of-the-art in-room technology, wireless Internet connectivity and sweeping panoramas of Marina Bay or the city skyline, with easy access to the Central Business District. 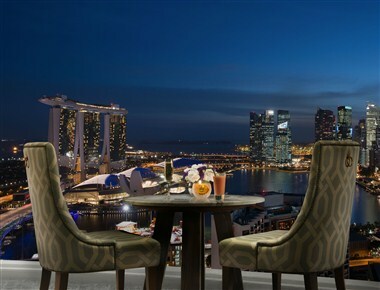 Pan Pacific Singapore overlooks, and is walking distance to Marina Bay Sands, Esplanade - Theatres on the Bay, Singapore Flyer, Gardens by the Bay and part of the Formula 1 racing circuit. For an enhanced stay, experience the exclusivity of the Pacific Club, offering unparalleled views of the city and the South China Sea from our hotel’s top floor with exclusive privileges including round-the-clock access to the Pacific Club, Champagne breakfast, afternoon tea and sunset cocktails and canapés. 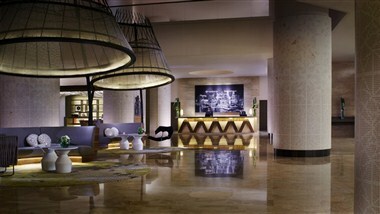 Pan Pacific Singapore offers a superlative range of meeting facilities comprising 24 meeting rooms totalling 2,842 sqm (26,716 sqf) of meeting floor space, including spacious meeting rooms with natural daylight, incorporating the latest technology, supported by a dedicated team of Catering and Event Management professionals. Diversity is at the heart of Pan Pacific Singapore’s culinary journey, with a choice of award-winning restaurants as well as bars and a gourmet marketplace that are available for bookings exclusively for private events and functions. Choose from authentic local and regional cuisine at Edge buffet restaurant, Japanese fine dining at Keyaki, the finest Cantonese cuisine at Hai Tien Lo or Asian delights and gourmet homemade sausages at Pacific Marketplace. 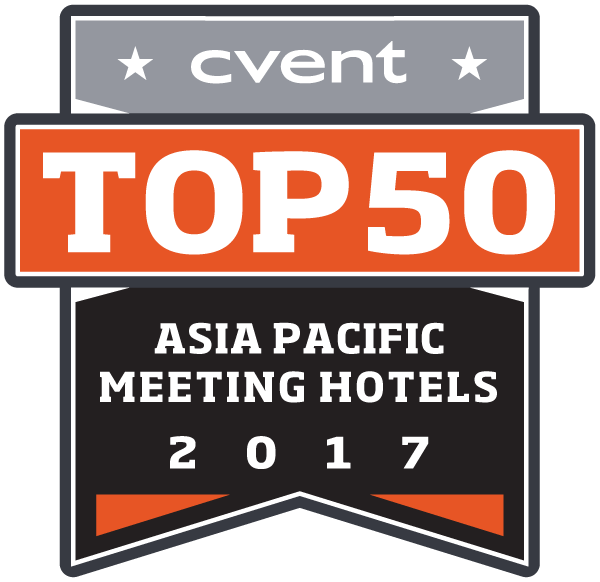 The professional and impeccable service and facilities at Pan Pacific Singapore has earned consistent votes as one of the World’s Best Business Hotels by Travel + Leisure’s Best Awards and the hotel has also clinched the prestigious Four Stars award in Forbes Travel Guide 2017, an affirmation of its dedication to delivering quality hospitality experiences through unsurpassed service, top-notch facilities and enhanced amenities. Kids Policy: Pacific Club restricted to children from 12 years of age and above only.